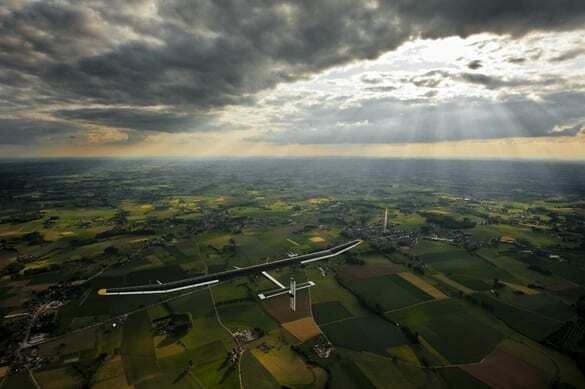 The Solar Impulse is getting ready for a promotional cross-country flight before embarking on a trip around the world. But the tech that has gone into it is already having an influence across a wide range of industries. In 1931, a Swiss explorer named Auguste Piccard took a record-breaking balloon flight to over 50,000 feet in the air. A few years later, he realized that modifying his balloon cockpit could create a new kind of cockpit–a bathyscaphe–that is capable of descending deep into the ocean. This May, his grandson Bertrand Piccard will extend his grandfather’s legacy of exploration, piloting a completely solar-powered airplane across the U.S., from San Francisco to New York City, over the course of two months (the plane will make four stops along the way). Just as his grandfather’s balloon cockpit led to unexpected deep-sea innovation, the plane, dubbed Solar Impulse, is already having effects outside the aerospace industry. Because let’s be honest: a solar-powered plane isn’t very practical. Piccard launched the Solar Impulse project in 2003, just a few years after completing a round-the-world balloon flight. “I realized that everything I do is dependent on fossil energy. I almost failed the balloon flight because of a lack of fuel with me, so I thought, ‘Next time I’ll make it without fuel. '” So Piccard set up a feasibility study led by engineer and pilot André Borschberg, who is now co-leading the project. Despite all the obstacles in the way of building a solar airplane that can fly during the day and at night–namely, that no one had ever done anything like this before–Piccard and Borschberg created a prototype that they began testing in 2009. They received financing and technology from a number of private companies, including Deutsche Bank, Omega SA, Solvay, Schindler, Bayer MaterialScience, and Toyota. All of the technologies developed and improved upon for Solar Impulse, says Borschberg, were created with the idea that they could also have other applications. “We’re not saying we’ll fly solar-powered commercial airplanes soon. That’s not the goal. It’s about stimulating innovation for clean technology and energy,” explains Piccard.